By leveraging Kinetis MCUs, the Haiku® with SenseME™ ceiling fan is able to detect changes in a room’s temperature, humidity and occupancy and automatically adjusts speed to meet them. 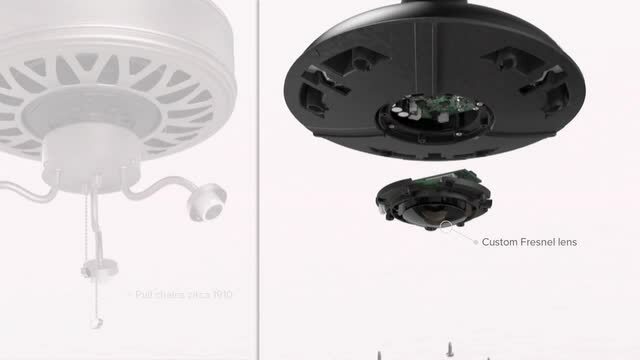 Add a new level of intelligence to a ceiling fan that allows it to sense environmental changes and respond to them based on individual preferences. The Haiku with SenseME ceiling fan incorporates the Kinetis MCU, advanced sensors, connectivity and machine learning technologies to dynamically adapt to the environment and the people in it. Highly energy-efficient and beautifully designed, Haiku with SenseME delivers precisely the comfort experience users desire.